Income and Capital Gains Taxes. No tax (529 plans) is better than some tax (mutual funds). 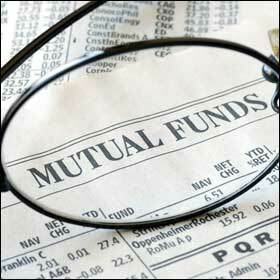 Mutual funds investing in stocks usually make year-end capital gains distributions, whether you want them or not. And when you liquidate the fund to pay college expenses, the appreciation is taxed. The Affordable Care Act imposed an additional investment income surtax that applies to high-income households. Earnings from qualified tuition plans, including 529 plans, are excluded from this tax. You may have heard that by making gifts of money or investments to your child you can take advantage of his or her low tax bracket. However, any amount of income a child earns above a defined threshold will be taxed at the parents’ marginal tax rate. This rule also applies to some full-time college students who are not self-supporting. Most financial planners suggest you ratchet down the equity exposure in your college savings portfolio as your child closes in on college. With taxable mutual funds, a transfer between funds to achieve a more appropriate asset allocation as your child ages will trigger tax on the built-up gains and could be costly. Most 529 plans offer an “age-based” option that will shift allocations automatically. There are also a number of tactically managed 529 plans with the flexibility to react to changing market conditions by reallocating underlying investments. Additionally, 529 plan owners are allowed to change investment options once per calendar year. None of these moves will trigger a capital gains tax. The income that shows up on your Form 1040, including capital gains, can have a big impact on financial aid eligibility for the following year. If you need to tap your appreciated investments to pay for college, you may be eliminating any chance of your child qualifying for need-based aid. 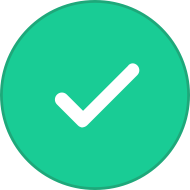 With a 529 plan there is no income to report on your Form 1040 when the distributions come out tax-free, and financial aid eligibility is preserved. Plan manager fees continue to decline, thanks in large part to the intense competition by investment firms to win state bids for management contracts. Also, many 529 plans have added low-cost index funds as investment options, reducing costs even further. Savingforcollege.com has performed extensive modeling to determine if 529 tax benefits are outweighed by the additional expenses and found it to occur only in rare instances where plan expenses are still relatively high and the investor is in the lowest income tax brackets. Many mutual funds, including all "tax-managed" funds, make investment decisions with tax consequences in mind. 529 plans don't have to do this, and investment decisions can be based entirely on investment considerations. Taxable investments may still be attractive to investors seeking certain high-risk investment strategies generally not found in 529 plans. And, of course, if the 529 plan is ultimately used for something other than college, the tax and penalty cost of a non-qualified distribution dramatically alters the comparison. But most families are not seeking high-risk investments for their college funds, and few are worrying about having too much money stashed away for college. For the majority of American families, 529 plans offer the best solution.